As a small business owner, you need to adapt to the market trends. Your customer’s needs evolve as technology changes their way of living. Adapting to the latest trends can push you ahead of your competitors. According to the Nielsen Facebook Messaging Survey, people are more likely to shop with a business they can reach through messaging. Hence, integrating a messaging app in your marketing strategy becomes an important step for your business. After reaching 1.5 billion monthly active users around the world, WhatsApp released WhatsApp Business last year. WhatsApp Business enables small companies to get connected to their customers. WhatsApp Business is a free Android messaging app for small business owners. It works similar to the WhatsApp messenger. 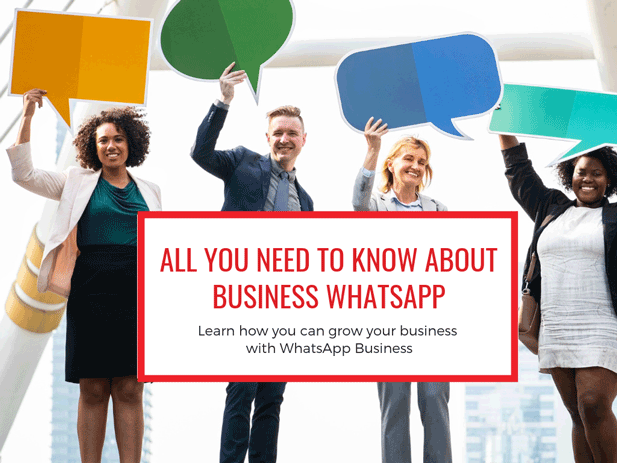 Small businesses can connect better with their customers with WhatsApp Business. With WhatsApp Business, you can create your business profile. In your business profile, you can add details like the company’s website, location and contact information. This feature builds the credibility of your business. WhatsApp Business offers you the ability to track messaging statistics. For example, you can see the number of messages sent and messages read. This allows businesses to track campaign performance over WhatsApp Business. Similar to WhatsApp, WhatsApp Business works with a single phone number. This makes it dependent on a single person to manage the account. A single person cannot stay available 24×7 to respond to customers. Hence, WhatsApp Business offers the functionality to set your business hours in the app. WhatsApp Business allows you to automate messages such as greetings, away messages or quick replies. Share your company information on the greeting messages or let them know you’re busy with the away messages. Save answers to your commonly asked questions to avoid retyping the same messages often. WhatsApp Business allows you to add labels to your chats. You can categorize your chats into groups like new customers, returning customers and customers awaiting orders. You can use WhatsApp Business and WhatsApp on the same device. You will require a separate business phone number to register for WhatsApp Business. With WhatsApp Business, you can connect with all users who have provided their phone numbers. This means you can connect with customers who are interested in engaging with your business. WhatsApp Business can help you strengthen the bond with your customers. WhatsApp Business is available on the web and mobile, too. So, it’s easy to manage your messages across different devices. You can install both apps on the same device, so you don’t have to worry about handling multiple devices. You can download WhatsApp Business from the Google Play Store. At the moment, you can use the app completely free of charge. You can now connect with your customers around the world without any additional spending. In this way, you can eliminate your costs related to SMS services. All the chats in WhatsApp Business are safe and secure. You can communicate with customers without worrying about someone eavesdropping. WhatsApp Business allows you to share your physical location. You can share the store or venue location with your customers in case they request it. Your profile can also provide a link to your website which makes it easier for customers to find you. You can promote a product launch or share the latest news about your products with your status. Your status is visible to all your customers. Hence, it’s convenient to promote your business. It’s also easy to share marketing videos/images or informational documents. This will improve your connection with customers. You can manage all your marketing campaigns and contacts in a single place. Hence, it becomes easy to manage your work. Easily interact with your customers on different stages of life and improve your customer service with WhatsApp Business. When in doubt, customers can reach out to you and you can solve their queries then and there. You can manage all your business messages from WhatsApp Business. You don’t have to worry about losing important business information. You can work together with your team by creating groups and sharing files in a few seconds. WhatsApp Business allows you to create a seamless experience for your customers and increases their loyalty towards your business. Analyze your customer data to find out how many of them are available on WhatsApp. Ensure that you have their consent to contact them. Once you’re confident, then you can integrate it into your marketing strategy. WhatsApp Business is the future of the customer-brand relationship. It can help you change the way your customers perceive your business. Many of our customers send important meeting reminders to their customers via WhatsApp. SuperSaaS is working on automating the process of sending reminders with WhatsApp Business. You can follow us on Facebook to stay up to date on our latest features.